Xavier De Kestelier is Head of Design Technology and Innovation at international design practice, HASSELL, where he leads design technology across all disciplines and regions. For the last decade, Xavier has been an industry leader in the field of parametric design, digital fabrication and additive manufacturing. Prior to joining HASSELL, he was Co-head of Foster+Partner’s internal research and development team where he worked on the Apple Headquarters, Kuwait and Beijing Airports, Yachtplus and the NBK Headquarters. At HASSELL, Xavier is developing the practice’s global digital design strategy for computational design, building information modelling, visualisation and virtual reality. Alongside this he is developing technology for cross-studio design review processes. In recent years, Xavier has built up a portfolio of space related architecture for clients such NASA, ESA and Virgin Galactic. He is currently designing a 3D printed Mars Habitat concept for NASA. 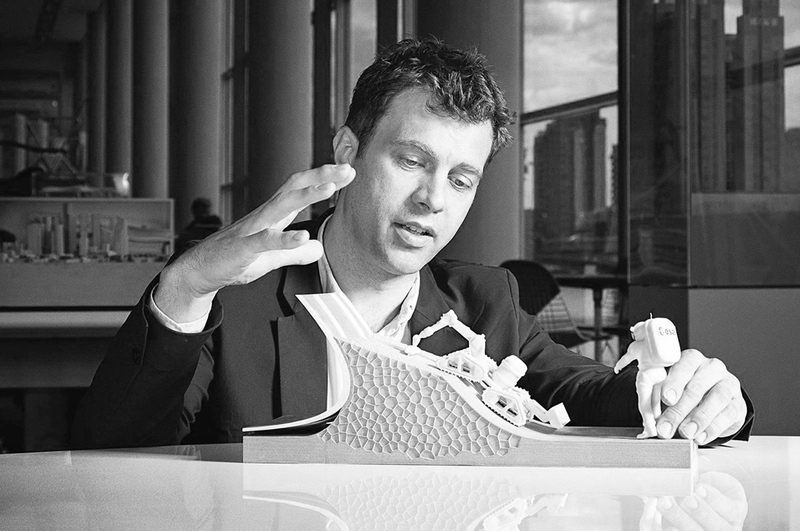 Xavier is also a Director of Smartgeometry, a non-profit educational organisation for computational design and digital fabrication. This organisation has grown to become an independent worldwide network for computational and digital design specialists. Xavier has held academic positions at Syracuse University (London), University of Ghent (Belgium) and The Bartlett (London). He is also a member of the RIBA’s Research and Innovation Group. 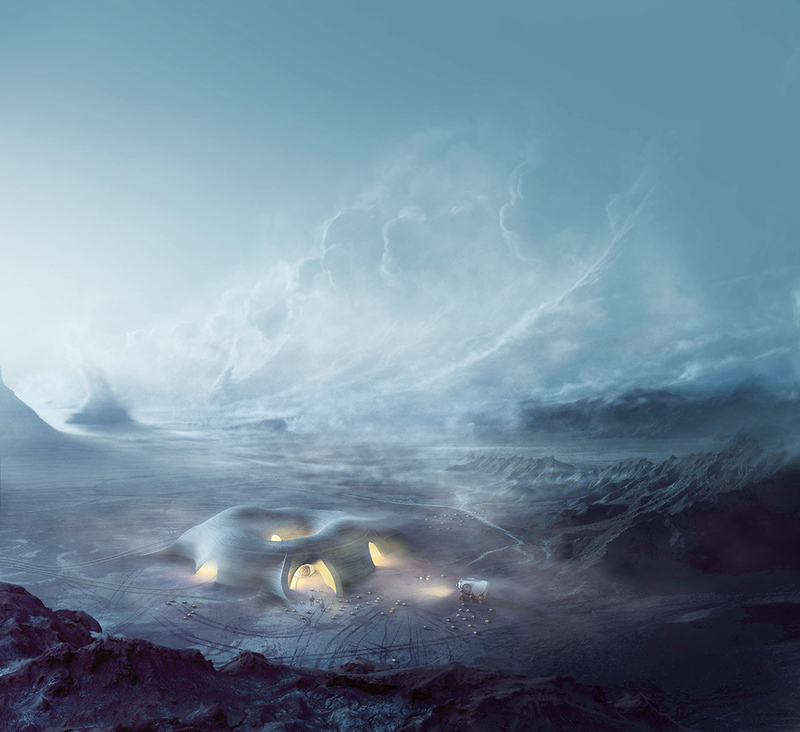 The HASSELL design for human habitation on Mars has reached the final 10 of NASA’s 3D Printing Centennial Challenge. 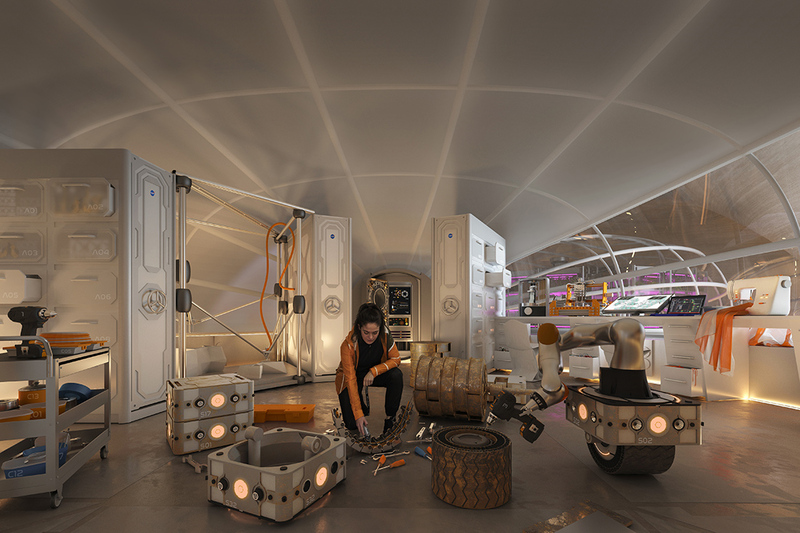 This NASA competition sought perspectives from outside the traditional aerospace industry to explore how a human habitat could be designed, and delivered, on Mars using autonomous 3D printing technologies. HASSELL saw this as an opportunity to push their thinking on human-centric design with an approach that moves beyond the idea of astronauts as purely operators, to create a habitat where people can not only survive life on Mars, but really thrive there. 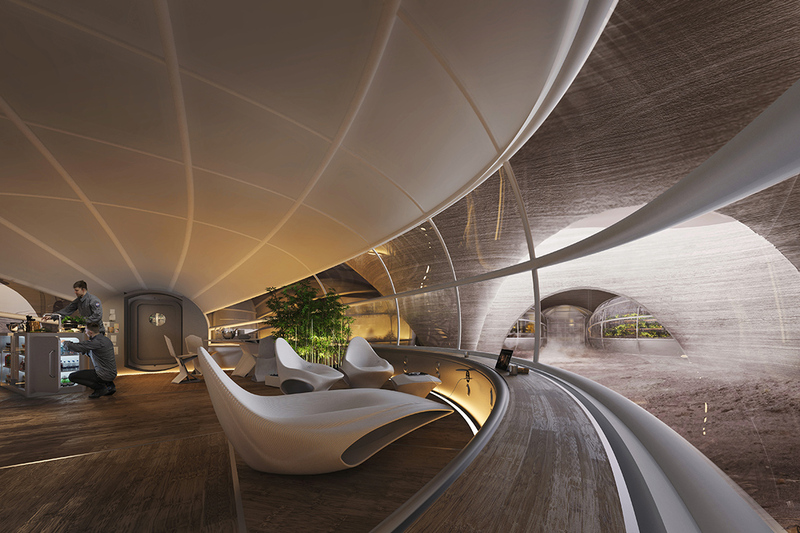 The HASSELL vision sets out an environment on Mars, which is not only high performance, but also provides a degree of comfort and familiarity for the astronauts. It is an environment where they feel safe and equipped to do the most important work in the history of space exploration. HASSELL teams in London and San Francisco studios partnered with engineers Eckersley O’Callaghan (EOC), to design an external shell, which could be constructed entirely by autonomous robots using Mars’ natural regolith. This shell will protect the astronauts from the planet’s high radiation levels. Overall winners of the competition will be announced in March.